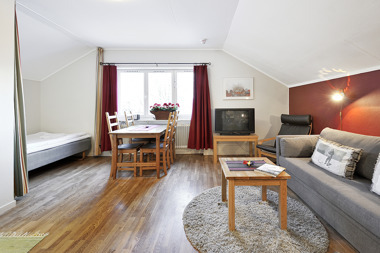 Gästhuset has seven fully equipped self-catering apartement. 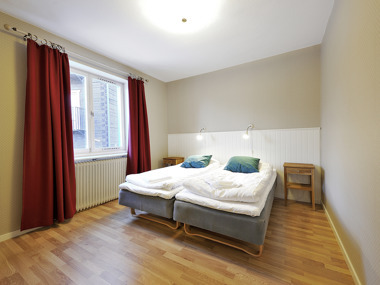 The apartments are are distributed on three levels. Every one with their own kitchen, shower and toilet. 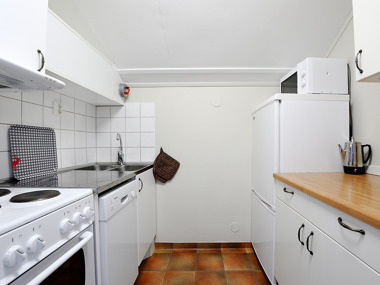 The larger ones has also a dishwasher and balcony. 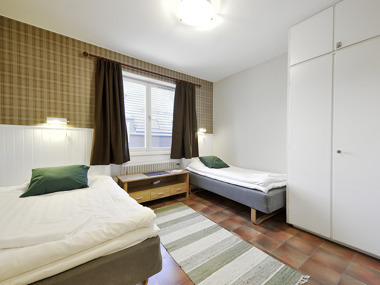 There are wifi in the building and we offer one parking lot and one skilocker per apartment. 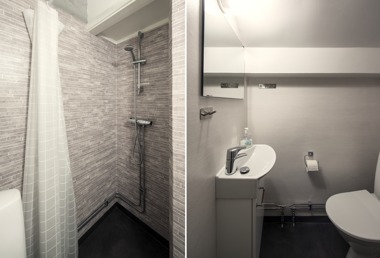 On the lower floor there is a shared sauna, laundry room and drying room. 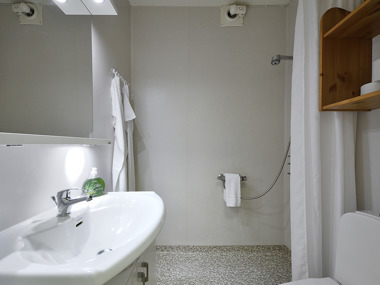 There is also a living room with attached toilet and luggage storage wich can be used on changeover days. Perfect before/after check-in and -out if you want to ski while you are waiting for a train or flight maybe. 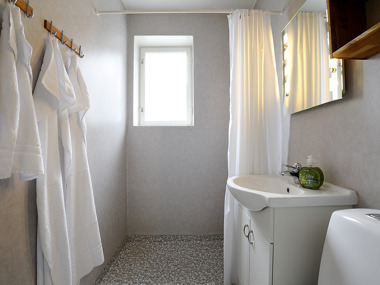 Bed linen and towels as well as final cleaning of the apartment are not including in our prices but are optional to arrange on their own or add upon booking according to price list. Booking for period 12/12 2019 - 3/5 2020 you do straight to us via phone/mail. Booking for period 30/5 - 12/12 2019 can you handel direct on our site. 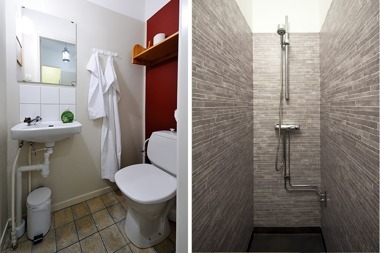 Our smallest apartments consist of a room with bunk bed 120 + 80cm, a kitchenette, shower and toilet. 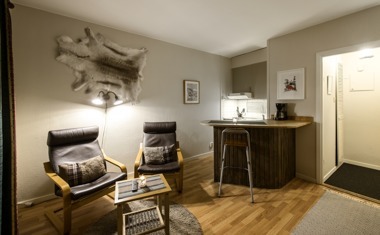 You also have a small seating are with TV. All that is needed for a really good price. 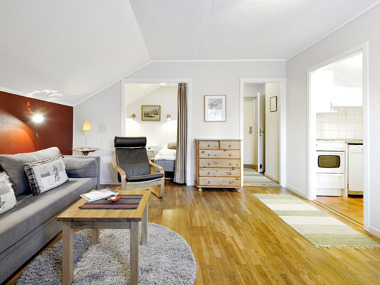 Summer price: 600sek / night. 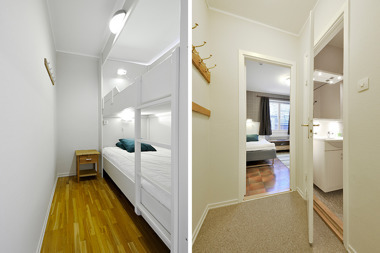 The 54sqm apartments have a separate bedroom with two beds, and in the spacios living room there is both a 120 +80cm bunk bed and bed sofa. 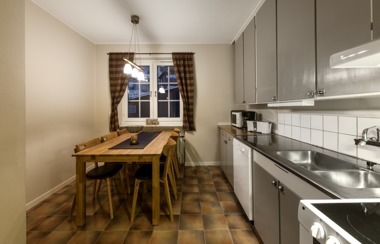 The kitchen is fully equipped with a dining area for up to six people and a private balcony. 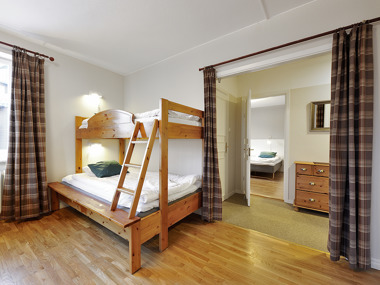 Summer price: 900sek / night. 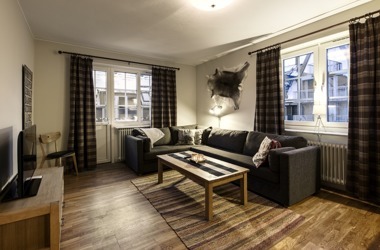 The cozy apartment in the attic overlooks the Åre park. 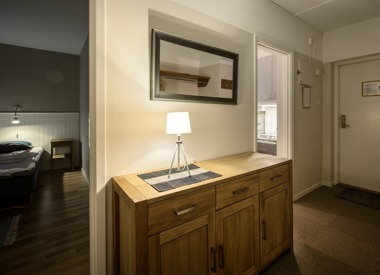 The apartment holds one room with two sleeping alcoves and a kitchen with owen and dishwasher. 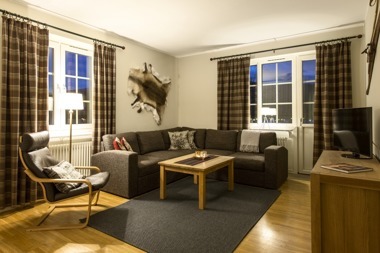 The sofa can be expanded so that it is possible to live four people, although three live more spaciously. 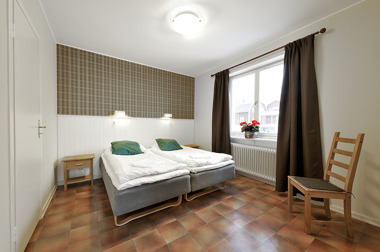 Summer price: 750sek / night. 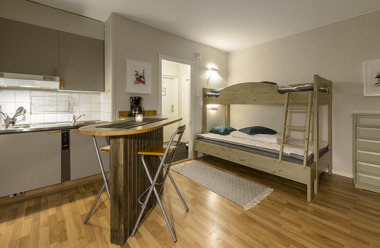 The 68sqm apartments have two separate bedrooms with two beds each, and in the spacios living room there is both a 120 +80cm bunk bed in a alcove and bed sofa. 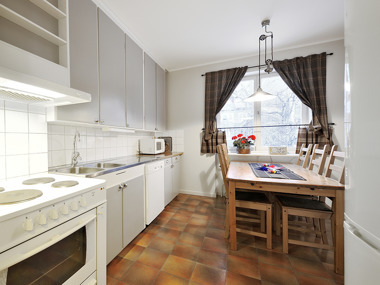 The kitchen is fully equipped with a dining area for up to eight people and a private balcony. 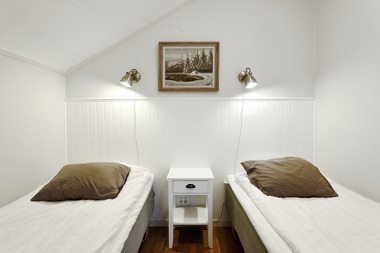 Summer price: 1100sek / night.